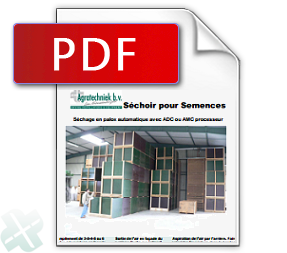 Efficient drying of the Medicinal & Aromatic Plants in boxes with processors for automatically drying to thedesired moist content level. 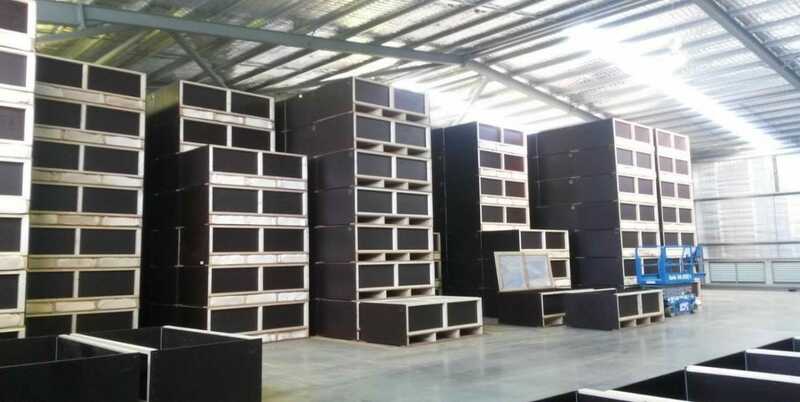 Stacking 3 to 7 boxes high. 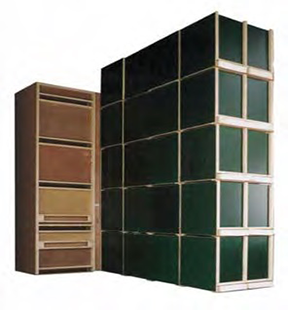 Using height gives maximum drying volume on minimum floor space; more drying capacity. 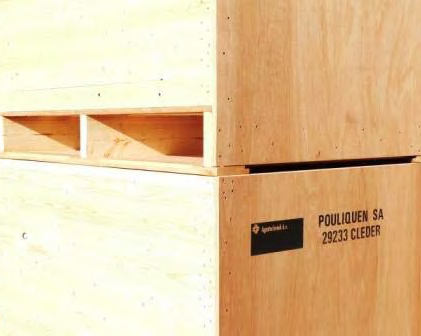 The openings in front of the air distribution system are on position of each box pallet. Extraction outdoor air from the back by an opening in the wall. Recycling indoor air when outdoor is too damp. 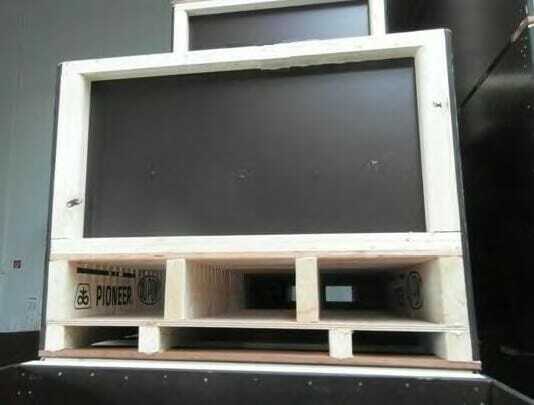 Pallet bottom closed by 9mm plywood. 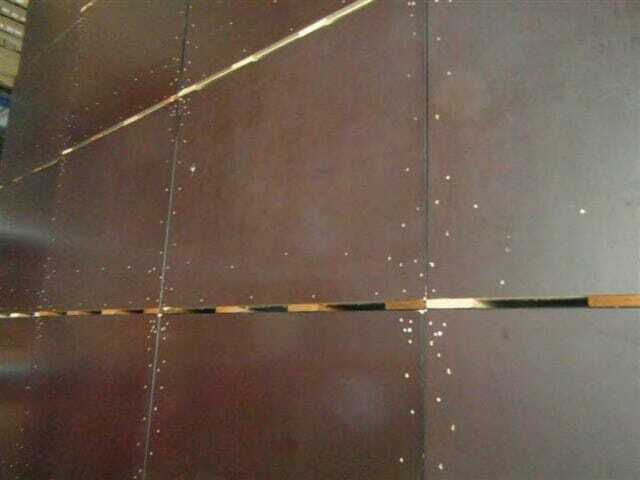 Difference in thickness between plywood andhardwood plank.ettings. 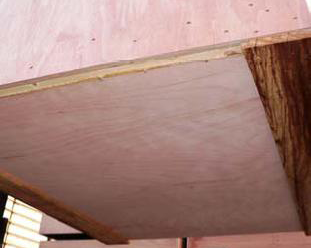 Difference makes openings between box layers for escaping moisture on each layer. Boxes are place in front and on top of each other. 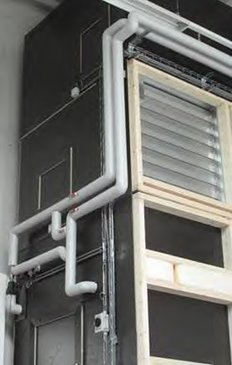 A fan extracts outdoor or indoor air. 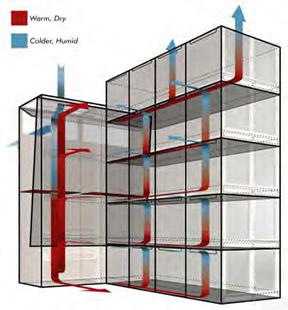 Air will be heated or dried and distributed over the box levels.s. Dry air extracts moisture from the MAP and moist air escapes per layer out of the Medicinal & Aromatic Plants. 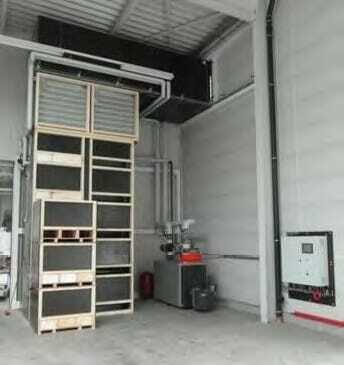 Overview drying installation for 2 sections with centralheating boiler on hot water. Connection of tubes to radiator inside the airdistribution installation. Outlet of moist air out of the MAP between the box levels. 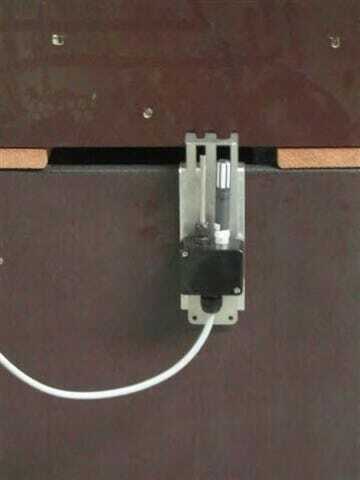 Measuring T°+HR of out coming air which is related to the Medicinal & Aromatic Plants. 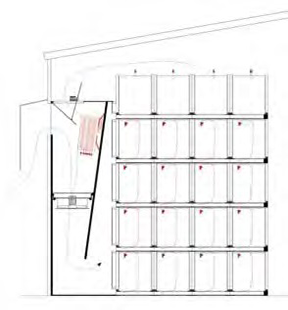 Example drying box with double pallets: ventilation and transport. 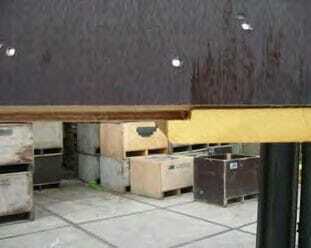 Box with plywood with coating. 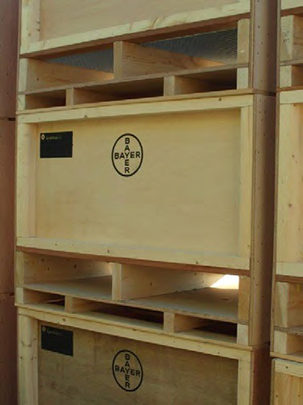 Example of box from plywood with larger volume; different sizes are possible up to 2000 ltr.